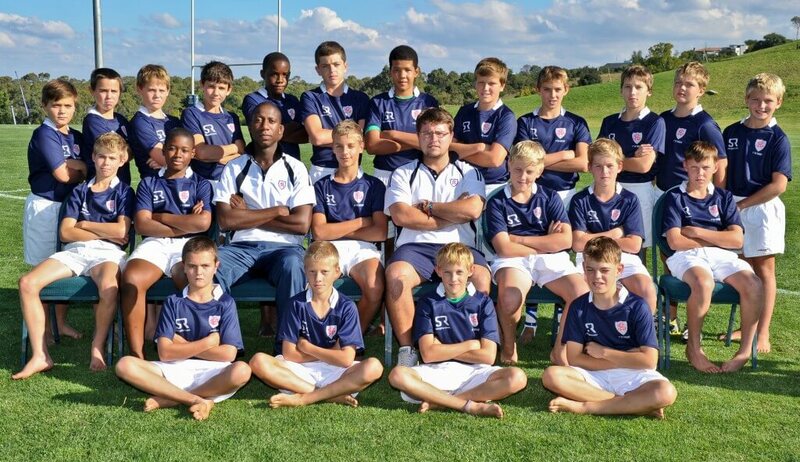 Stud Rugby has been manufacturing custom rugby shirts for the Ridge School in Johannesburg for the past couple of years. As it’s a traditional rugby school the designs chosen have been traditional however their iconic pink pantone has been very effective with the sublimation process. The beauty with sublimation printing is that we can match ANY specific pantone colour. Our jerseys are sublimated at very high temperatures of over 200 degress celcius so the colour is printed in it’s truest form. The schools Cerise Colour makes even the most simple rugby jersey design effective. In 2011 Stud Rugby manufactured a school leavers jersey for some of the boys. As it wasn’t an official school rugby jersey the boys could go with a more creative custom design shirt and they chose the Eradicator or ‘Paint Splash’ design.